A ‘Black Swan’ event is defined as an event with an exceptional or extraordinary character representing a surprise for the observer; one which has a wide impact and highlights something that has been neglected by observers in understanding what was critical in their system, procedure or unit. 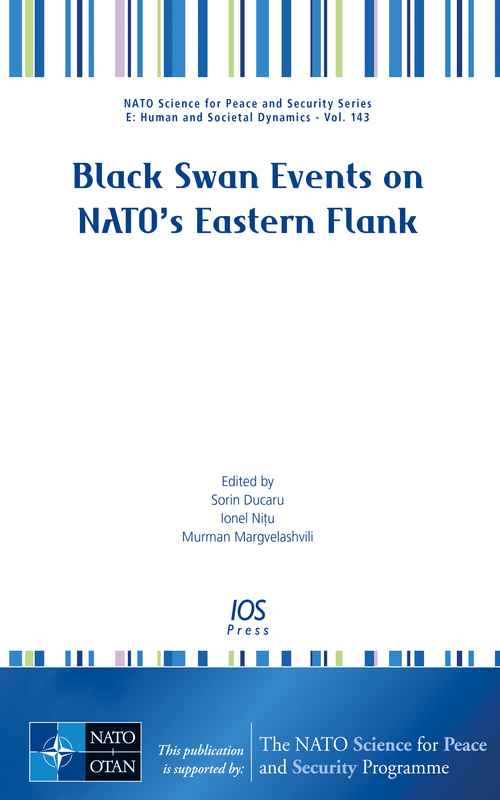 This book presents material from the NATO Advanced Research Workshop Black Swans on the Eastern Flank, held in Bucharest, Romania, on 18 and 19 April 2018. The workshop was designed as a response to the need to develop agile situational awareness and analysis capabilities and skills, correlated with horizon-scanning and strategic anticipation initiatives, and was conducted with particular reference to the Balkan and Black Sea regions and in the context of the broader destabilization and destructuring trends of the international security order, the challenges posed by increasing terrorism, the escalating dynamic of cyber-attack and information manipulation, and so called hybrid tactics, together with the broader impact of new technologies on security. Two situations were presented by each participating country to generate an analysis framework for the unexpected and challenging events for each state in the region; the situations likely to become their ‘Black Swans’ between 2018-2020. The discussions during this Advanced Research Workshop highlighted the nature of the scenarios, their probability, impact and the means to tackle each situation, and the book aims to provide an instrument to better prepare the systemic prevention and response, and will be essential reading for anyone interested in potential future crises in this vulnerable part of Europe.